DC Comics Maxi Poster: Do you think that you have a hard life? 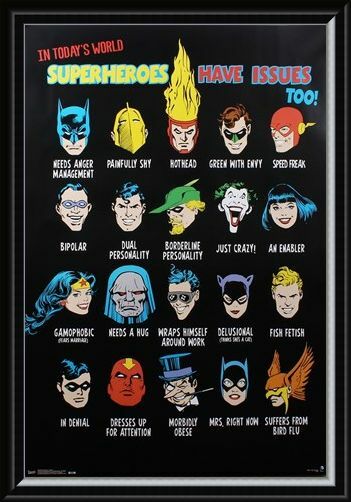 Do you spend a lot of your time day-dreaming about how green the grass is on the other side of the fence, or become fixated about which superhero quality you would most like to posses? 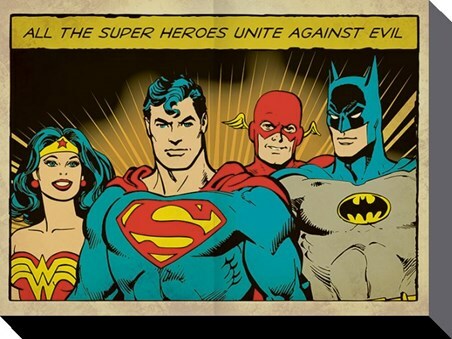 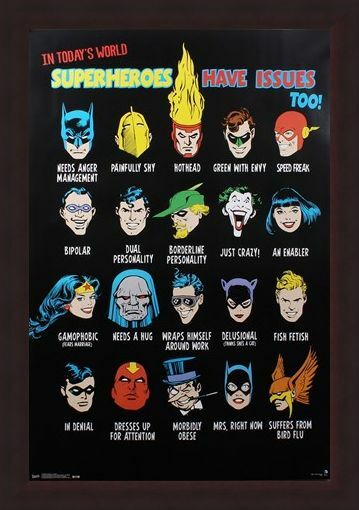 Then this poster is sure to put a smile on your face as you learn that superheroes also have issues! 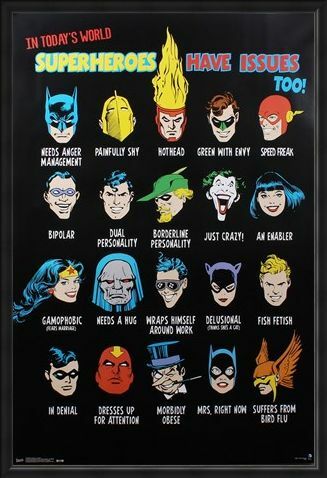 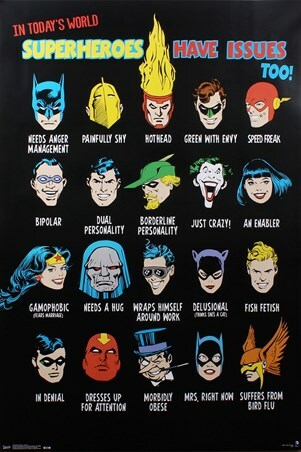 For example, who knew that Batman needed 'anger management' or that Superman has 'dual personality'? 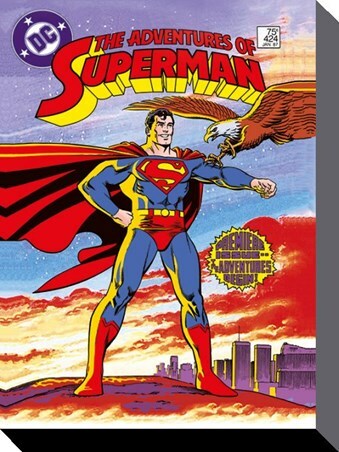 Hang this fun poster on your wall and revel in the flaws of both yourself and your childhood superheroes. 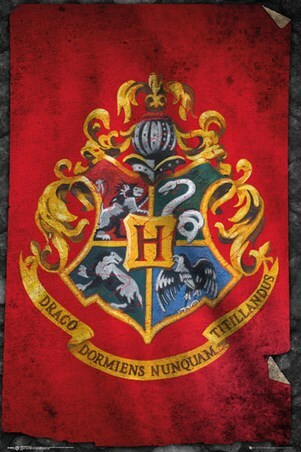 After all, nobody's perfect! 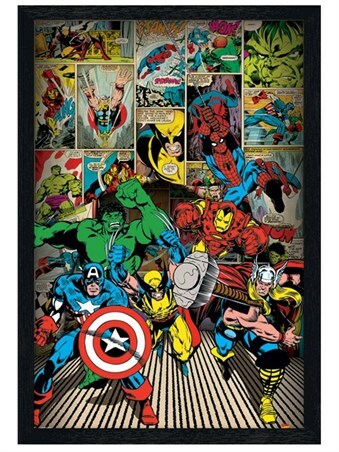 High quality, framed Superheroes Have Issues Too, DC Comics poster with a bespoke frame by our custom framing service.